A hometown hero who’s suffering a personal crisis. A single-mom who’s back on her feet again. And the what-ifs they finally have a chance of seeing come true. A year after her divorce, Chelsea Lewis spends most of her days working part-time at her cousin’s bakery and hiding veggies in her picky son’s lunches. Then she reconnects with an old friend who helps Chelsea in all the ways she’s forgotten she needs—including romantic ones. They sat there, staring at each other for a moment that kept stretching out. Embarrassment crept over her expression, but she didn’t look away. He reached up with the hand that wasn’t around her shoulder and let his fingers graze over her cheek, feeling the heat there. She took a deep breath, and he had to as well. He wanted to kiss her, to take care of her and help her and . . . be everything for her. He slid his hand around her neck and guided her closer. They stared at each other. Did he want to take the next step and deal with the consequences? He should make the decision soon, especially if he wanted it more than he was scared of it. Any moment, he might come to his senses. 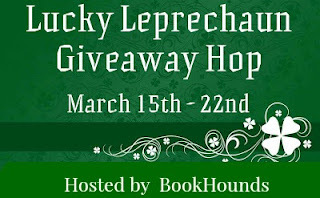 Giveaway Details $25 Amazon Gift Code or $25 in PayPal Cash Ends 2/18/19 Open only to those who can legally enter, receive and use an Amazon.com Gift Code or Paypal Cash. Winning Entry will be verified prior to prize being awarded. No purchase necessary. You must be 18 or older to enter or have your parent enter for you. The winner will be chosen by Rafflecopter and announced here as well as emailed and will have 48 hours to respond or a new winner may be chosen. 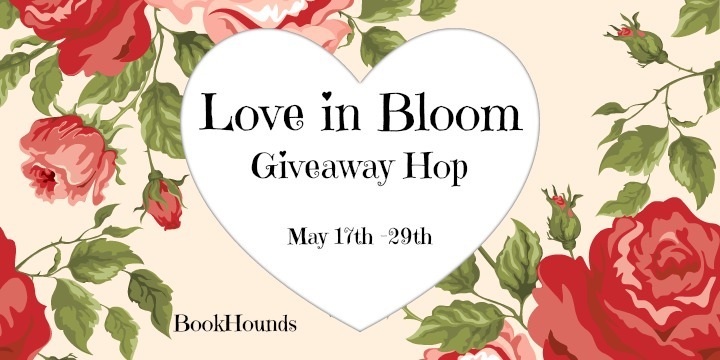 This giveaway is in no way associated with Facebook, Twitter, Amazon, BookBub, Instagram, Rafflecopter or any other entity unless otherwise specified. The number of eligible entries received determines the odds of winning. This giveaway was organized by Kathy from I Am A Reader & Clean Wholesome Romance and is sponsored by the author. VOID WHERE PROHIBITED BY LAW. A hometown hero that’s suffering a personal crisis. A single-mom who’s finally back on her feet. And the what-ifs they finally have a chance of seeing come true. I enjoyed getting to know DJ and Chelsea and all their flaws, quirks, and strengths. They felt very realistic. Chelsea has been living at her parents home recovering from a divorce, and struggling with her two year old's resulting behavior. It was interesting that in a situation that she feels helpless, she chooses to exert control in what she feeds her son and allows him to consume. There is definitely some mom guilt there. I liked her attitude towards her relationship with her ex-husband Brady. They are friends and do their best to be considerate of each other. 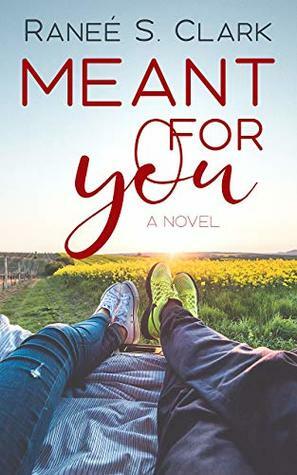 The fact that DJ is Brady's close friend and hers from high school make them both feel conflicted when they reconnect and begin a romance. It was nice that they fell right back into their friendship so they had that foundation when they began to consider more, and they went in with their eyes open as to what that could mean for Brady. Some drama and angst ensues of course, and they each are tested with their vulnerabilities and levels of self-confidence and confidence in each other. DJ is struggling with his job and future career path, which made him more susceptible to doubt even though he is generally a confident person. I appreciated that the author included a spiritual aspect with Chelsea turning to the Lord in prayer, especially since the characters are portrayed as active members of the Church. I think it would have felt shallow without showing that Chelsea, DJ, and the other characters live their beliefs. Overall, this is a sweet romance that explores the unexpected transitions we go through in life and the importance of friends and family to support and encourage us. 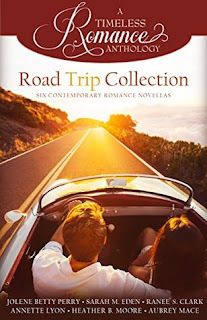 (The characters are members of The Church of Jesus Christ of Latter-day Saints and there are some references that are specific to that faith, but this story can be enjoyed by any fan of clean contemporary romance). Gwen Malone is back in her hometown of Clay, Wyoming, saving money while she figures out what to do next with her life and her dream of having her own online magazine. Then her ex, Cale Parrish shows up, working for her dad, of all things. Things are awkward, of course, since he broke off their engagement just a month before the wedding. But Cale has known for a long time that he made a mistake five years ago, when he allowed the pressure to marry her right after his mission eclipse his true feelings for her. He can’t let Gwen slip away from him again. 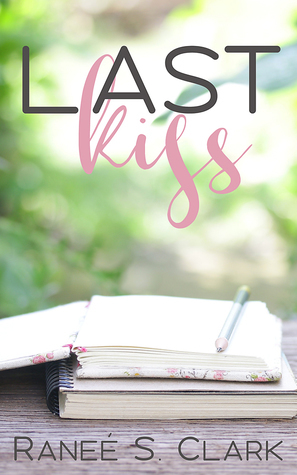 Cale's thoughtful gestures and reminders of their once-perfect relationship begin to convince Gwen they should take a chance on them again—until a no-holds-barred kiss reminds her exactly how much she has to lose. Cale may be ready to jump right back in where they left off, but can Gwen trust him again so easily? This is a sweet second chance romance in small town Wyoming. It focused on Gwen's indecision over her first love's return to town and attempts to rekindle their relationship. She's in limbo since she's stalled in her career and that sense of uncertainty is prevalent throughout the story. The plot wasn't exciting or compelling and I would have liked more depth and character development. Cale and Gwen were nice together, or at least Gwen's memories of how they used to be. Most of their present day interactions involved awkwardness and avoidance. I didn't feel invested in them, and was surprised at the jumps they made in the end after five years of zero contact. Perhaps if Cale and Gwen's previous time together had been more detailed, I would have felt there was more of a foundation to build on. As WWII draws to a close, war widow Vera Larsen Trumbell knows all too well the sacrifices of those left on the home front. Working on her family's farm has sustained Vera and her young children, but she now yearns for a sense of normalcy. The end of the war has been bittersweet for the Larsen clan as they and the residents of their small Wyoming town continue to pick up the pieces of their former lives. Navigating the complexities of a postwar world, Vera and her family face the changing ideals swirling around them. 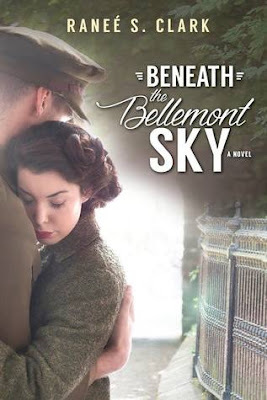 From rising controversy surrounding women's presence in the workplace to the town's cold reception of the newest member of the family—a beautiful French freedom fighter—the American dream of days gone by has been thrown off balance. Even Vera's own life is set spinning when, despite her better judgment, she feels a growing attraction for the brooding and mysterious local schoolteacher. I fell in love with the family this book centers around! It's not just about Vera, but is told from various points of view as the issues and relationships of each sibling is explored. I've always enjoyed movies and shows with a strong ensemble cast and this book had the same feel. I love learning about this time period and was especially interested in the women who joined the workforce while the men were fighting the war, and how gender roles shifted as more opportunities opened up for women to support themselves. One of my favorite characters was Andrew's French wife Josette, and I loved seeing how the newlyweds adjusted to their new life together. Highly recommend to fans of historical fiction! Football-loving TyAnne Daws has long admired BYU's star quarterback from afar. This semester, she's determined to step away from the sidelines and she has the perfect game plan for winning the heart of Anthony Rocket Rogers. When some smart moves land her in one of his classes, she finds herself in the perfect position to make her play. But as she gets to know the real Anthony, away from the lights of the stadium, Ty realizes that this is no game; she's falling in love . . .
Anthony takes full advantage of his all-star status, holding girls at arm's length for one reason: it keeps him from repeating the same mistakes that once led to a devastating heartbreak. When he meets Ty, his assumption that she's just another pretty face is quickly proven wrong. 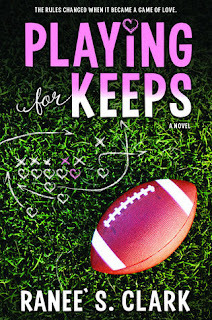 Though he's completely drawn in by this sweet young woman, her intriguing mix of amusing football know-how, and her quiet selflessness, he will not let himself fall in love. But when faced with the reality of losing the woman he's come to care for despite himself, Anthony's resolve is tested. It's getting harder to keep his head in the game when his heart's on the line. 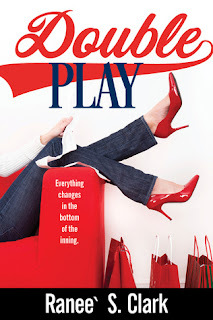 Enter below for a chance to win a print copy of Double Play by Ranee S. Clark, then check out the other blogs on the link list! Good luck on the giveaway hop! Sophie Pope is devastated when she hears the news: her former boyfriend, college football star Anthony "Rocket" Rogers, is engaged to be married. Determined to win him back before he says I do, Sophie hatches a foolproof plan to stop the wedding. But when Rocket's best man, aspiring baseball player David Savage, thwarts her plot, she realizes the game is up. For David, though, it s just beginning . . .
David knows that Sophie is just another pretty face, and he's more than happy to save his best friend from her shallow advances. She's not his type at all, so he's baffled by his response to an awkward encounter with Donovan, another of Sophie's former flames. Despite himself, David feels driven by an inexplicable need to protect her. Pretending to be Sophie's new fiancé leads to unexpected sparks between the pair, and soon they're searching for excuses to spend time together. But when a curveball threatens to send them in opposite directions, will Sophie and David step up to the plate for the possibility of true love?